Not every movie needs a twist ending to drive its point home, or even tries to stun audiences before they leave the theatre. But just because a movie lacks a jaw-dropping twist, it doesn't mean that was never the plan. You might be surprised to learn just how many movies could have turned out completely different if their original twists made it to the finished film. Here are Screenrant's 10 Amazing Movie Twists You've Never Seen. The hours of extra footage released in The Lord of the Rings Extended Editions show that plenty of key scenes had to be cut before release, but one scene in the final movie seems too incredible to have left out. When Aragorn and his assemble outside the Black Gate for one last battle, the original version of the scene saw Sauron himself take a physical form, and fight the new king. It was an amazing twist, and in the end, too amazing, since it made Frodo and Sam's ring drama seem less important. Sauron was replaced by a massive troll instead. The second team up of Marvel's biggest stars ended on a bittersweet note, with speedster Quicksilver dead, and a batch of new heroes set to become the New Avengers. But the hero's death wasn't always a sure thing: director Joss Whedon admitted that the final scene of Age of Ultron was filmed with Quicksilver included, in a new costume to boot. To add insult to injury, Marvel taking longer than expected to get a new Spider-Man and Captain Marvel off the ground meant Whedon couldn't include them in the closing scene, as he'd planned. Spider-Man would have had fans cheering, but Whedon thought it would just be funny to include Captain Marvel without any explanation. In the end, the bombshell, and the joke, were nowhere to be found. 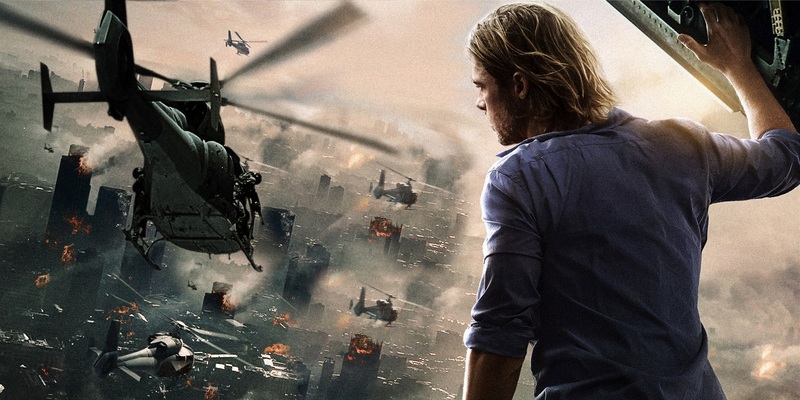 Seeing Brad Pitt battle zombies in a blockbuster movie seemed like a dream come true, but his character's story in World War Z didn't always end so happily. Instead of a third act that saw Gerry discover how to solve the zombie crisis, and return back safely to his family, the original ending told a completely different story. Gerry's plane would have landed in Moscow, where he was forced to join a zombie death squad for months, eventually taking part in a massive battle in Red Square. And why did Lost Star Matthew Fox play such a tiny role? In the original ending, he had claimed Gerry's family (including his wife) as his own, driving the lost father and husband to cross an ocean back to America, storming the beach in a haze of zombie carnage. Then the credits rolled, setting up an even more intense sequel. Oh well. Happy endings are fun too. With Ridley Scott's spacebound horror film, Hollywood didn't just get one its most successful movie monsters, but one of its greatest sci-fi icons, and a badass woman for the ages. But Alien wasn't always going to play out that way. The original script ended with more horror than victory, with Ripley being ambushed by the Xenomorph, biting her head clean off before sending a message to Earth using her own voice. It's definitely a creepy ending and a shocking twist, but considering the franchise that developed around Ripley, it was probably the way to go. 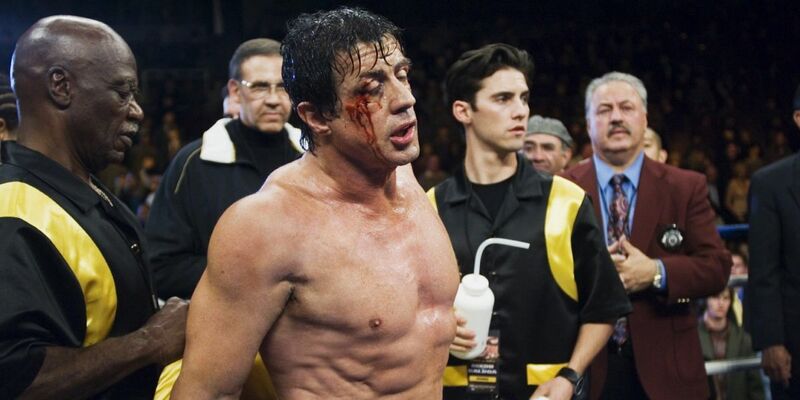 Sylvester Stallone blurred the line between fiction and reality with the 2006 return to the role of Rocky, playing an old champion whose best days are behind him, but refuses to be forgotten. The movie sent a good message though, since Rocky proved that youth isn't everything - losing to a younger, faster boxer, but not really caring since he put up a good fight. If that sounds cheesy to you, the original ending actually had Rocky win the fight, and remaining as potent an athlete at an old age as he was in his prime. In the end, they decided to keep it at least somewhat believable. Sometimes, it's the idea of a studio not going with a twist ending that seems insane in hindsight. 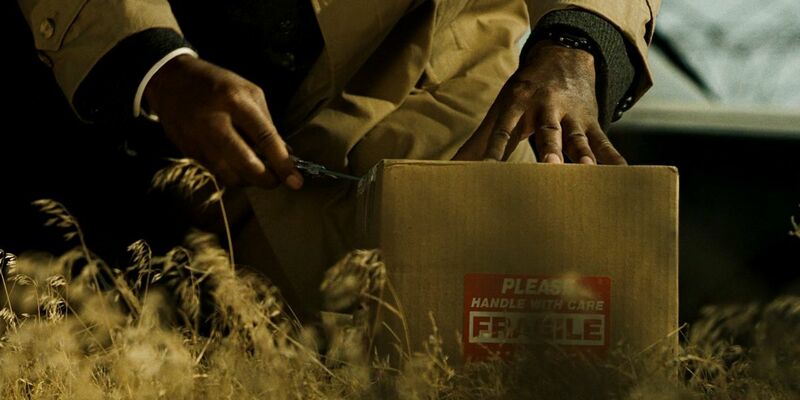 In the case of the dark serial killer thriller Se7en, director David Fincher and star Brad Pitt were set on keeping the movie's "what's in the box" ending, no matter how hard the studio pushed. The serial killer John Doe pushing Pitt's character to kill him meant the villain won, with an innocent woman killed in the process. The studio tried to come up with a different ending, from having the plan foiled to it only be a dog's head in the box. But the strangest idea was to have Morgan Freeman's soon-to-be-retiring cop gun down the killer instead, sacrificing his own freedom just to keep evil from winning the day. Fincher stuck to his guns, and the darkest, and most disturbing ending possible guaranteed the movie's place in noir history. It's no secret that more Terminator sequels have been disappointing than cult classics, but the original version of Terminator Salvation at least wanted to try something interesting. In the finished movie, John Connor's heart was injured in a battle with a T-800, so a Terminator/Human hybrid (Marcus) sacrificed his own to keep the resistance leader alive. But the original ending had Connor die, and his inner circle decide to attach his face to Marcus, letting the Terminator lead humanity to victory in disguise. If that wasn't dark enough, the director claimed that his ending would have seen the operation succeed... before Marcus murdered everybody. So Salvation could have been a lot worse. 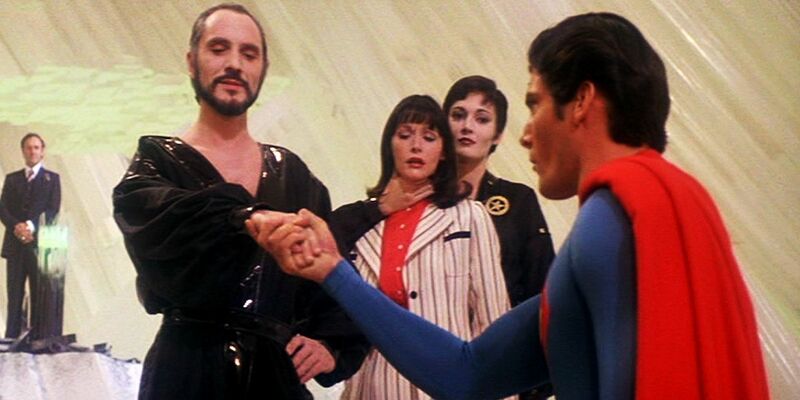 When Man of Steel ended with the controversial death of General Zod, and some fans claimed that showing Superman commit murder was heresy, their opponents pointed to Superman II. The movie where Superman stripped Zod and his partners of their powers, then beat them to a pulp and watched them fall to their deaths. It's a fair defense of Zack Snyder's reboot, but the original cut of the movie showed the Kryptonians didn't die after all. Instead, they were arrested by - we're not joking - Arctic police. The trio wound up serving hard time for their crimes, which means the Man of Steel debate is probably far from settled. The second film in the rebooted Planet of the Apes series took audiences by storm, with most of the credit given to the cast underneath the 'CG makeup' of the Apes. But the original ending of the movie set the stage for an even bigger thriller. When the human forces are dealt with, the apes' leader, Caesar learns that reinforcements are already on the way. The final shot shows Caesar's eyes preparing for the war ahead, but the movie was originally going to show the Navy close to arriving, and the apes squaring off on the Golden Gate bridge. It achieved the same goal, but the director thought that literally setting up both sides of an impending battle only tied his hands for any sequel. 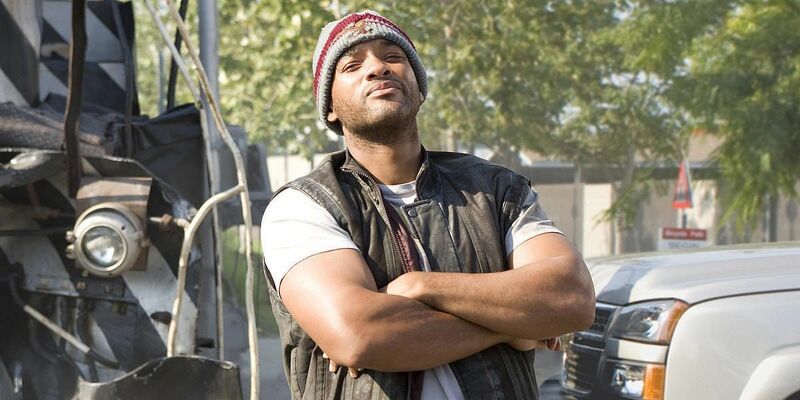 Will Smith's turn as a superpowered superslacker was a strange mix of action, comedy, superhero origin and mythical love story. But while the original script and the finished movie were pretty weird, it almost went to a very, very dark place. Instead of learning that his friend's wife was his superpowered soul mate, the original script had Hancock kidnap and try to force himself on her before slaughtering the horde of police officers who arrive to rescue her. Just to guarantee audiences left the theatre with their jaws dropped, he would then try to kill himself with one of the cop's guns. The bullet didn't leave a mark, but it shocked the studio into changing the film's direction completely. So what do you think of our list? Did we miss any of your favorite twist endings or game-changing deleted scenes in hit movies? Be sure to share them in the comments, and subscribe to our YouTube channel for more videos like this one!